An eighth-place finisher in the Heisman Trophy balloting of 1990, Craig Erickson produced some of the most memorable performances in Miami football history during the Hurricanes' dominant seasons from 1987-90. Starting the final 18 games of his career, spanning the 1989 and 1990 seasons, Erickson led the Hurricanes to the 1989 national championship in his first season as a starter. With Erickson as the starting quarterback, the Hurricanes were a remarkable 16-2 and captured bowl victories over Alabama (in the 1990 Sugar Bowl for the national title) and Texas (in the 1991 Cotton Bowl Classic). Erickson firmly etched his name among Miami's elite list of great quarterbacks by passing for 6,056 yards and 46 touchdowns in his career while completing 55.9 percent of his passes. 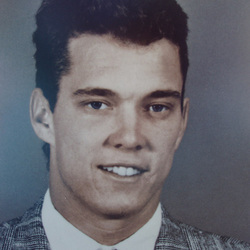 During his senior season of 1990, Erickson won the Johnny Unitas Award recognizing college football's outstanding quarterback and placed second in the balloting for the Davey O'Brien Award. Erickson left UM the owner of single-game records for pass completions and yardage and total offense, along with single-season marks for attempts, completions, passing yards, total offense and touchdown passes thrown. Erickson went on to a career in the National Football League, playing with Tampa Bay (1992-94), Indianapolis (1995) and the Miami Dolphins (1996-99).